The social component is increasingly important in learning. If you can turn your learners into a close-knit team that sticks together and moves forward collectively, they won’t just follow the courses, they will collaborate, share visions and ultimately co-build the learning experience. Leaving you in the enviable position of only having to facilitate. So here’s a set of 5 social features you that you can exploit to optimise your favourite learning solution. Today, similarly to with Facebook or LinkedIn, a news feed is essential to any digital learning solution. Beyond allowing learners to step outside the typical training framework, it encourages them to keep up to date on relevant information naturally and at their own initiative. 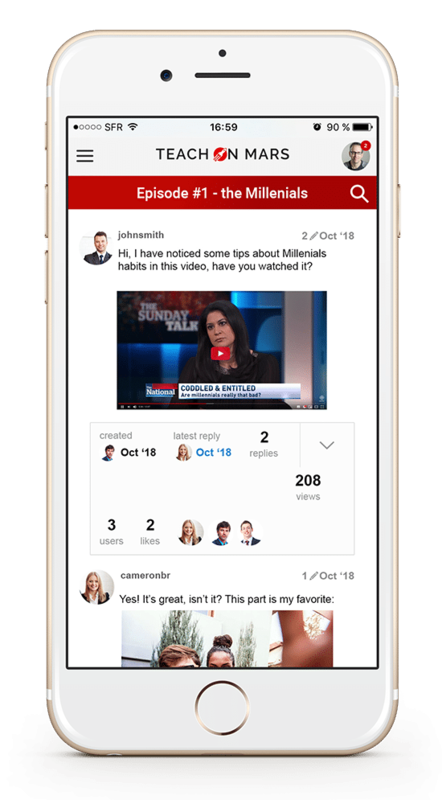 With the Wall, learners will receive a variety of content curated by your community managers, including images, videos, podcasts and more. This is “snackable” content that they can consume in short sessions, returning frequently to the app wherever and whenever they want. It fosters attachment to the brand and creates the virtuous habit of using the application. The Wall is the place where users get alerted to the challenges they’ve been sent by other learners in the community. For you, it’s a vector for promoting courses and introducing content in different formats and at the opportune moment using Articles. View, Like, and Share statistics will help you gauge your audience’s interest in this news feed. By dosing Push notifications, you can encourage your audience to visit the Wall from time to time if they haven’t yet developed the reflex to open their apps. With the best will in the world, it isn’t always easy to cover a topic for your entire audience as exhaustively as you’d like. Why not get the learners themselves creating and sharing content that will supplement the material you offer them? You can set up a Forum for each of your programmes so learners can have the opportunity to extend your lessons with content of their choice. And when your course is designed to be thought-provoking and prompts your audience to delve further? Maybe post a question on the course forum to stimulate the community and get the ball rolling. 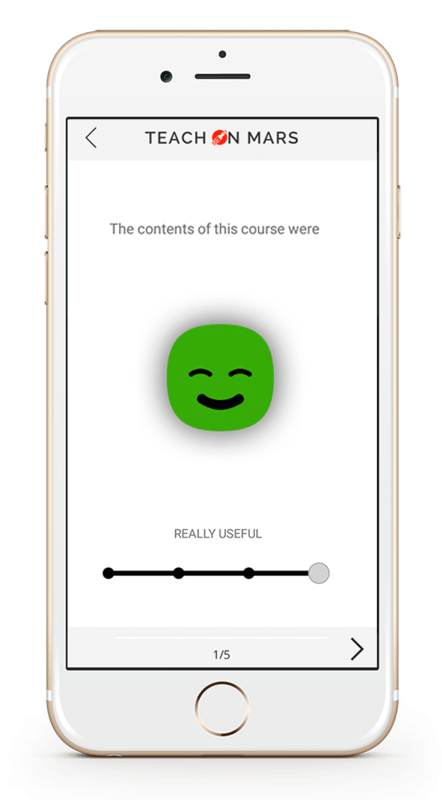 Not only do the course forums add material that feeds into the learning process, they are also an opportunity to let the learners talk freely about the content you offer them. For you, the forums will be a precious source of feedback and ideas for improvement. So much so that you’ll wonder how you ever managed without! Sometimes even better than a discussion space for a particular course, a learner-group specific forum can be an extremely effective way of strengthening the sense of belonging to a community. Create separate groups, each focused on specific criteria (teams, goals, topics, professions, geographical location, etc.) to enable your learners to have productive exchanges within their peer group. Rankings will motivate learners to do and redo quizzes and learning games. 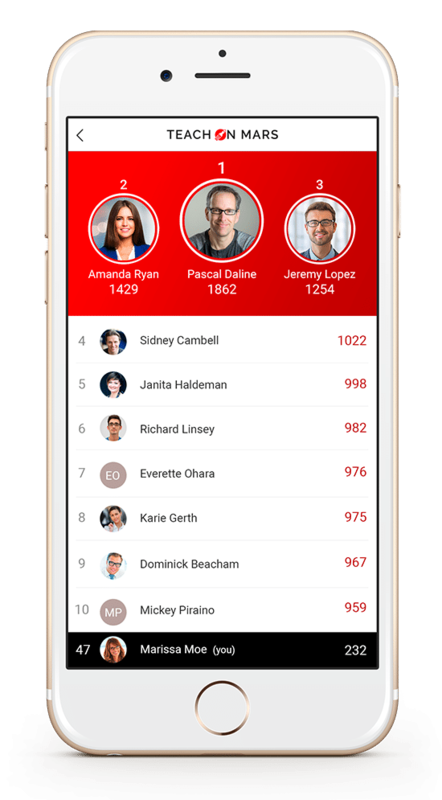 Each scored activity accrues points (doubled the first time round or when completed without error), and you’ll certainly notice a connection between the motivation of your learners and their avatar climbing up the rankings! In addition to specific course rankings, learners can also consult their points total and all the badges they have earned. Through the Mission Center too, trainers and managers can generate bespoke rankings according to a whole range of criteria (courses completed, time spent, total points, etc.) to devise new rewards programmes. Surprising though it may be, not all learning professionals are telepathic, so it’s not always easy to understand the expectations of your learners. The good news is, those powers of divinity are no longer indispensible: a survey tool such as that offered by the Survey activity can help you get answers to some key questions. What kind of learning activities do your learners enjoy the most? What topics would they like to move onto next? What are the real blocking points? By asking the right questions, you can get useful data out to help you make important decisions. 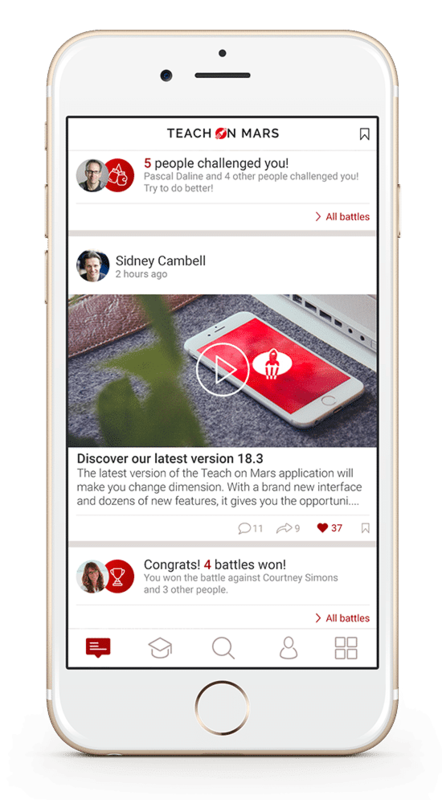 The idea is to get the content of your Teach on Mars app circulating freely within your organization. Thanks to direct or “deep” links, you can disseminate your content so simply – by email, via your instant messaging tools, your newsletters, etc. Just copy a link from your Mission Center and paste it anywhere! 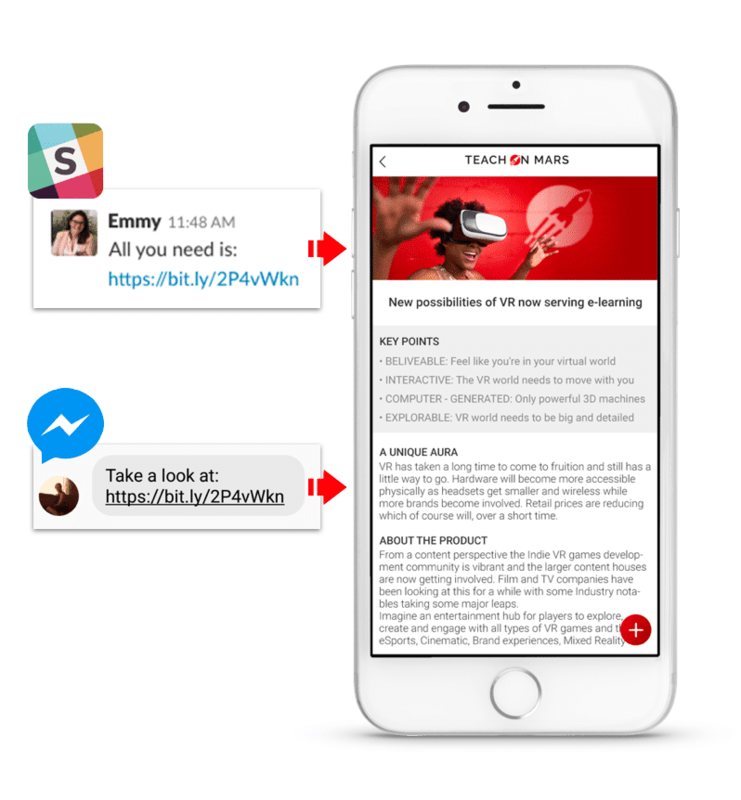 Equipped with these tools, you’re all set to transform your training solution into an ecosystem in which your learners will take pleasure in sharing and interacting. 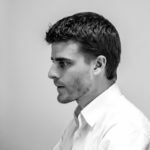 Since 2008, Hugo deals with communication and webmarketing for SMEs and European research projects. He joined the Teach on Mars crew in 2016 to contribute to making learning accessible to everyone. New features you may not be aware of!